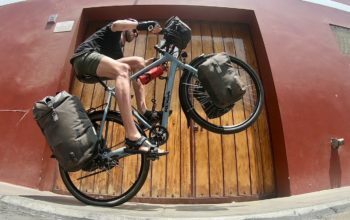 Dynamo hubs are becoming more and more common on bikes used for bicycle touring and bikepacking. This can be attributed to advancements in LED technology and the fact that we all have USB powered devices that we like to charge along the way. This resource will be focusing on the best dynamo lights available. But the best dynamo light for you, may not be the best dynamo light for somebody else. This is because different lights offer different beam shapes, outputs, brightnesses and USB charging capabilities. 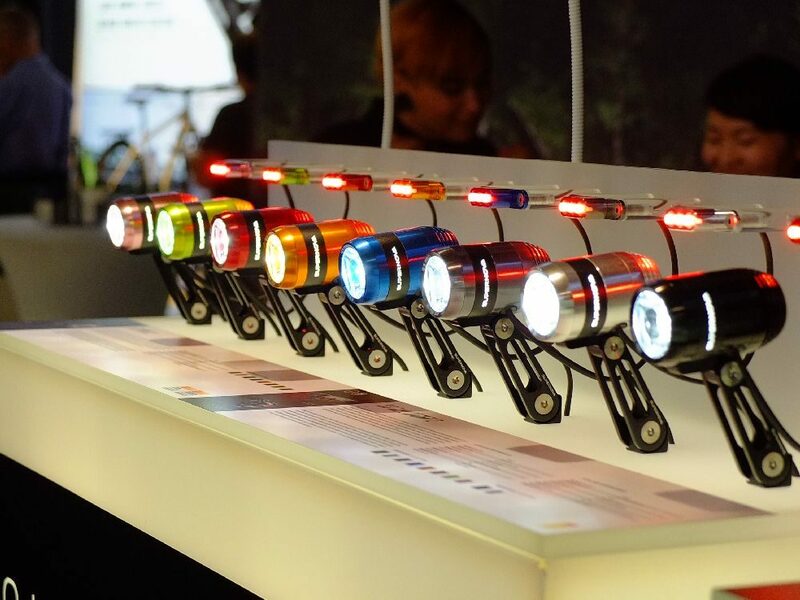 Let’s take a look at how to choose the best dynamo lights for your style of riding. The amount of light provided at the light source can be measured in lumens. This is really just a useful unit of measurement when comparing the output of different LED globes. In comparison, the light brightness at a predetermined distance from the light is called lux. 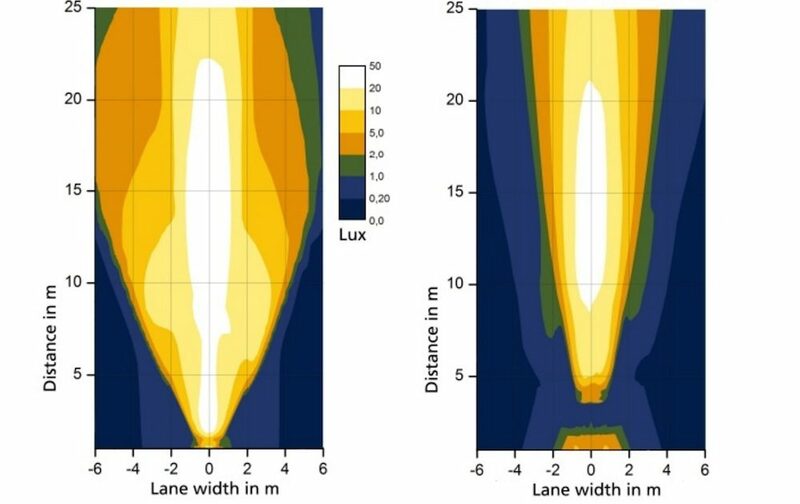 German regulation measures the lux on a white wall at a 10-metre distance. Two lights with the same lumens at the LED globe can therefore have vastly different lux depending on the beam shape. A high lumen light can have a low lux if it has a wide beam, and a low lumen light can have a high lux if it has a narrow beam. The fact that different lights distribute their light in different ways makes it really hard to make brightness comparisons between models. Beam shape, not brightness, is arguably the most important feature of a dynamo light. 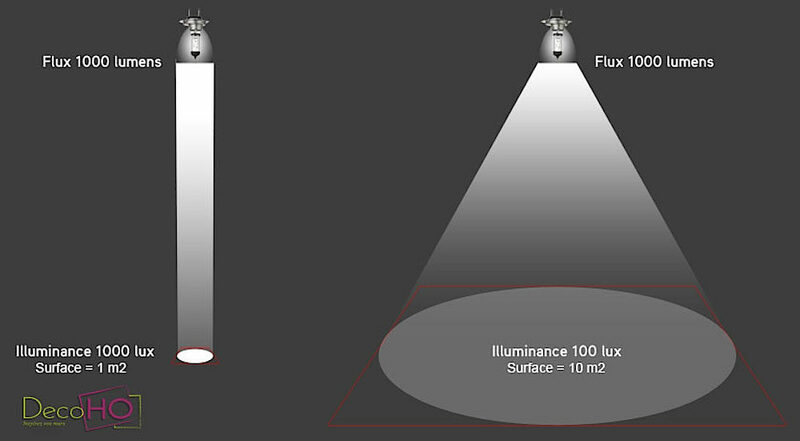 Lights can have huge lumen outputs, but if they can’t send the light to where you need to actually see, how useful are they? 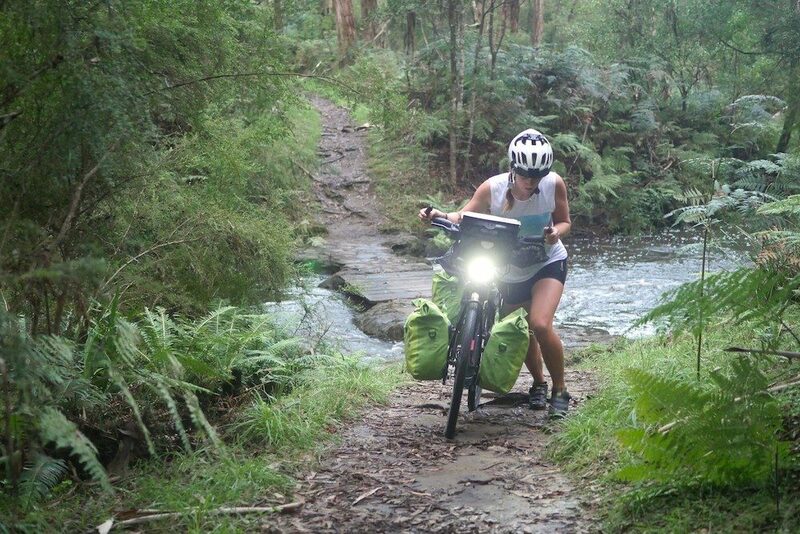 By pairing a suitable reflector with an appropriately bright LED, you can get extremely effective lights for cycling with a fraction of the lumens. The best way to compare beam shapes is to set up a camera and a light rig. BaslerBikes, PeterWhiteCycles and Busch & Muller. Dynamo lights can generally be categorised into on-road and off-road based purely on the way they distribute light. Off-road lights are almost always symmetrical which means that they can be mounted upside down and will still offer the same light beam. Think of them as a handheld torch. They are symmetrical because it’s useful to see things above your line of sight, such as low-hanging branches. 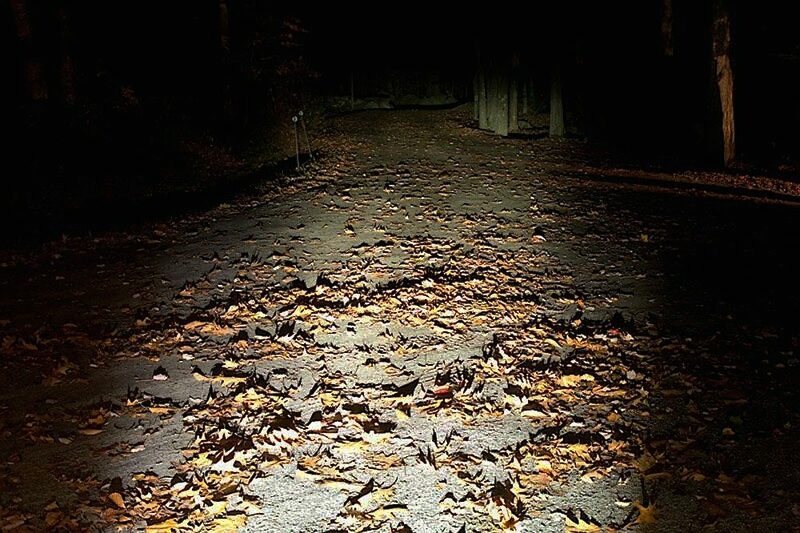 On-road lights are asymmetrical and therefore focus light towards the shape of the road. 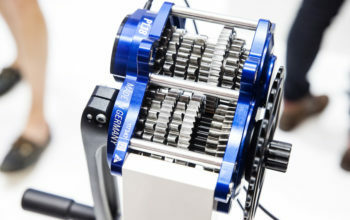 The light normally starts 50cm in front of your wheel and gets wider and longer the further it projects. Like a car headlight, the light’s reflector reduces the brightness of the light at eye level for oncoming vehicles and pedestrians. High-quality reflectors can also layer light so that the light that hits closest is not as bright as the light that has to travel furthest. 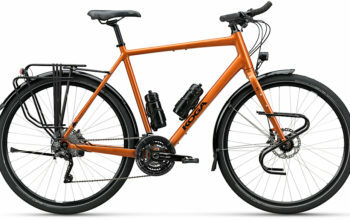 Dynamo light beam shapes are optimised from the height of your front wheel, the light ideally located near the fork crown. Mounting your light low (off a rack or the fork leg) will make foreground objects brighter and will create shadows from rocks/leaves/potholes. With a bright foreground, it’s also harder to see in the distance because of the way your pupils are contracted under high luminescence. Of course, it isn’t always useful to mount your dynamo light from your crown. 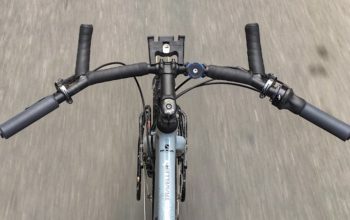 Instead, you can try mounting your light high off a front rack with a tray, from a tri-bar or directly from your handlebar. 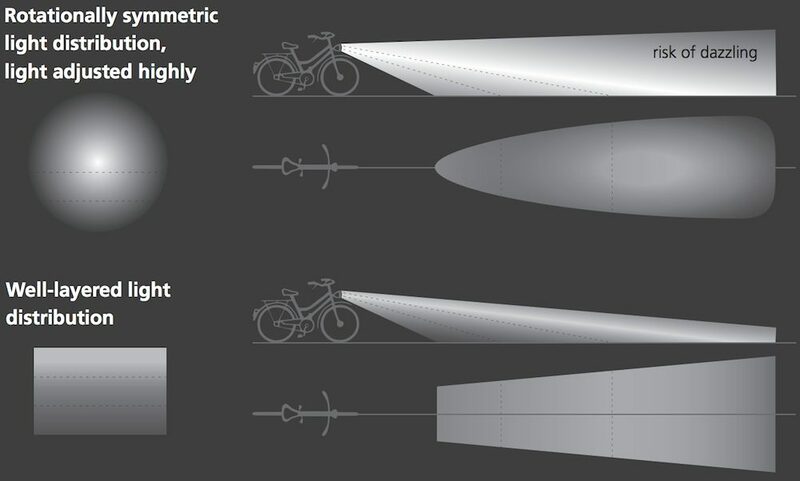 PeterWhiteCycles capture the shadows and uneven brightness associated with a low-mounted dynamo light. There’s a handful of lights that incorporate a switch which directs power from the light to charge your USB devices. This creates a nice integrated and cost-effective light/charging system with less cabling. That said, it can be said that chargers built into lights are often less efficient than separate dynamo charging devices because they are not optimised for that purpose. 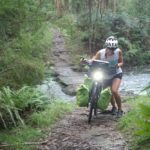 The Sinewave Cycles Beacon has a ‘Charging Priority Mode’ which allows you to run the light on a low setting, and direct the rest of the power towards charging. As most people charge their devices during the day and run their lights at night, this feature will only be valuable to those who prefer to run day-lights or those who need charging capability at night. 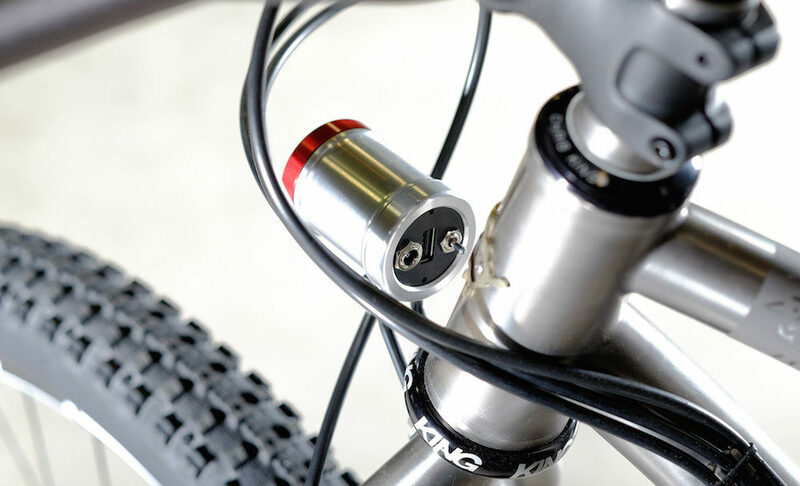 The Sinewave Cycles Beacon offers USB charging from the back of the light. Some lights have variable brightness settings on offer. These light adjustments can be useful to optimise under different light conditions such as urban and country. Sensors are installed in some lights to automatically switch between day and night modes. They are designed with a delay between modes in order to prevent car headlights from changing the brightness of your light. Some lights are available in a more compact size without the on/off switch. 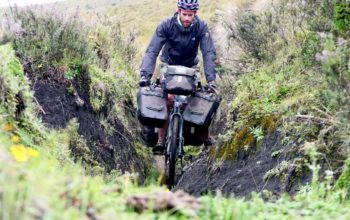 Seeing as though high-quality dynamo hubs have such a low drag, is it even necessary to switch your lights off these days? Some lights (like the Sinewave Cycles Beacon) can employ external battery power to boost the light brightness and reduce flicker at low cycling speeds. 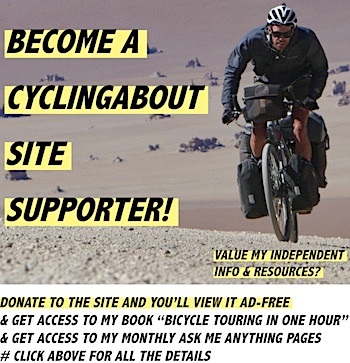 Note: If you make a dynamo light purchase through the Amazon links, a small cut goes to supporting CyclingAbout. 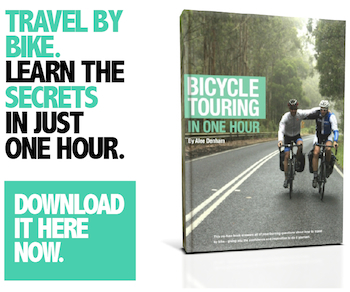 It’s no cost to you and the money goes a long way to creating more great resources!